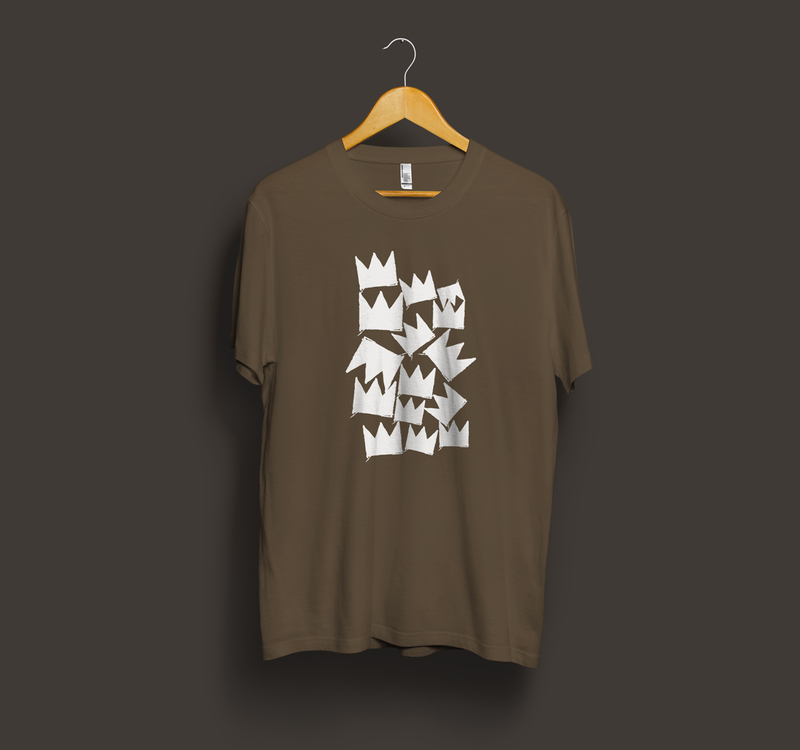 Art Series: Jean-Michel Basquiat’s Crown T-Shirt. The white color Crowns on army color tee. Inspired by Jean-Michel Basquiat’s original crown painting. American Apparel t-shirt, made and printed in USA.